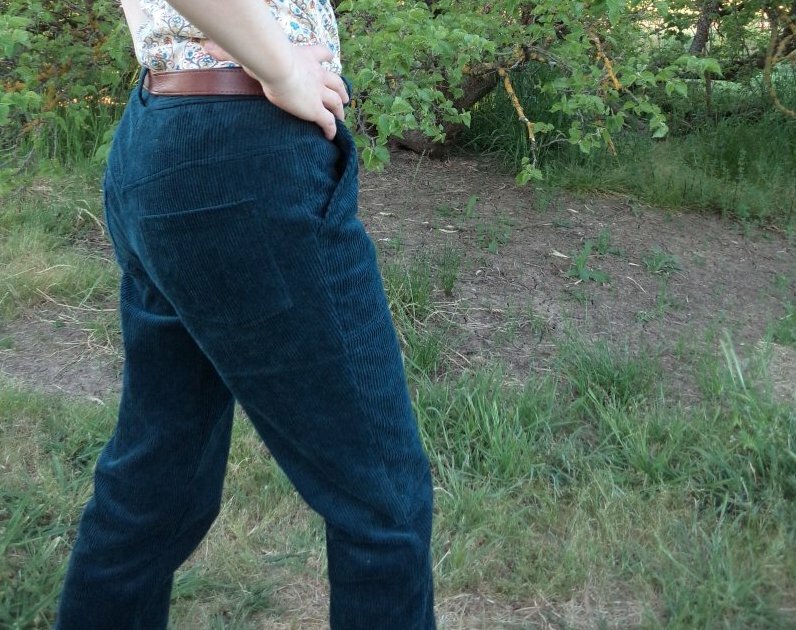 Do you love wearing corduroy? I do. It’s a feel-good fabric that oozes comfort, warmth, and happy 1970’s nostalgia. This Friday the 11th is National Corduroy Appreciation Day, as proclaimed by the (currently in recess) National Corduroy Appreciation Club. 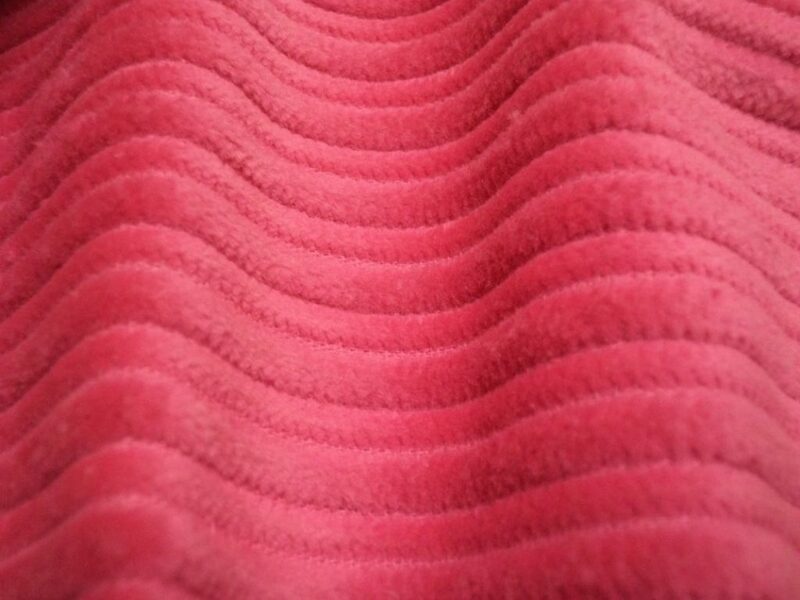 The date, 11/11, is the number that most resembles corduroy. Yes, I know what you’re thinking, it’s another made-up excuse for an “International Day of..” by people with too much time on their hands. Ditto for Star Wars Day May 4, International Mud Day June 29, Talk Like a Pirate Day Sept 19, Cookie Day Dec 4, Black Cat Day Oct 20, Love Your Red Hair Day Nov 5, Hug a Sheep Day Oct 29, Hobbit Day Sept 22, Drink Beer Day Sept 28, Men Make Dinner Day (actually that one could be good), World Nutella Day Feb 5, Bubble Wrap Appreciation Day Jan 24, Drinking Straw Day Jan 3, Open that Bottle Tonight Day Feb 27 (even though it’s technically a night), Ice Cream for Breakfast Day Feb 18th, etc etc. I’m not inventing these! With Corduroy Day coming up I was reminded of the half-finished cord trousers that have been sitting by my sewing machine all year. They’re a fairly non-spectacular corduroy project -just everyday wear -but I (literally) dusted them off and finished them, just in time for the Aussie summer, too. 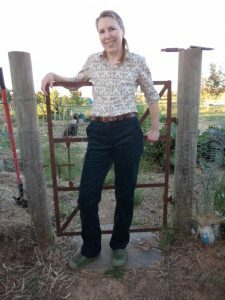 These trousers are my own pattern, refined over several pairs. I call them my Country Trousers. The pockets are perfect and the cut is comfortable. They’re my fourth “everyday” trouser pattern. 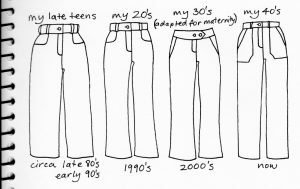 Looking back, on average I create a new trouser pattern almost every decade, and this is the shape I’ve settled on now I’m in my 40’s. All my trouser styles have been sewn in corduroy at least once if not many times. Most corduroys shrink when they’re washed, sometimes up to 5% in length, which is a fair bit. 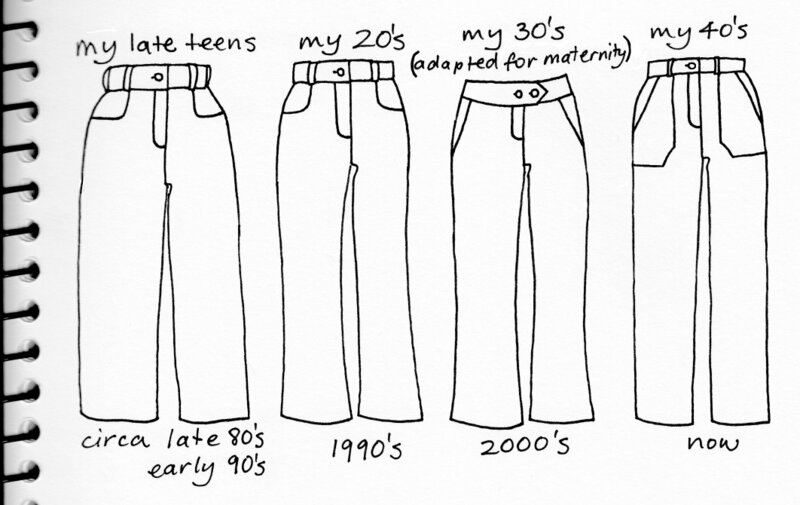 This isn’t the end of the world for skirts, but can make trousers unwearable. A pant leg is about a metre long, so 5% shrinkage can mean 5cm shorter. When I make trousers I pre-soak the fabric in hot water, then add 2.5cm (1″) when I cut them out. They shrink over the next several (cold water) washes and turn out the correct length. On the few occasions when I haven’t pre-washed the cord, I’ve added 5cm (2″) to the length and it’s turned out fine. If the cord is chunky, make sure any topstitching isn’t too close to the edge. 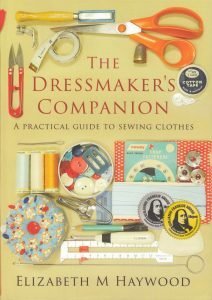 The velvety surface creates an indistinct edge and it’s very easy to stitch off it. Have the pile of corduroy smoothing up for a richer colour.